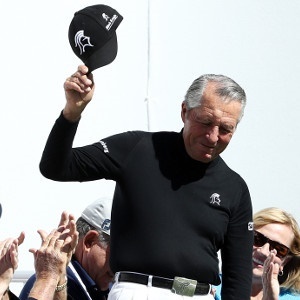 Cape Town - South Africa's greatest ever sportsman, Gary Player, was inducted into the South African Hall of Fame at Sun City on Monday night. The 82-year-old became the country's third golfer inducted alongside four-time major winner Bobby Locke and two-time women's major champion Sally Little. The nine-time major champion took to Twitter to express his gratitude, writing: "Tonight I was inundated with love. Thank you. Thank you. Thank you. Forever grateful." "None of my victories, accomplishments or success would have been possible without your love & support. Almost 61 years Viv, I love you." At the age of 29, Player won the 1965 US Open and became the only non-American to win all four majors, known as the career Grand Slam. He became only the third golfer in history to win a career Grand Slam, following Ben Hogan and Gene Sarazen. Only Jack Nicklaus and Tiger Woods have performed the feat since. Player has won 165 tournaments on six continents over six decades and was inducted into the World Golf Hall of Fame in 1974. He also operates The Player Foundation, which has a primary objective of promoting underprivileged education around the world. Player will be hosting 'Africa's major' the Nedbank Golf Challenge starting on Thursday, November 9 at the Gary Player Country Club.